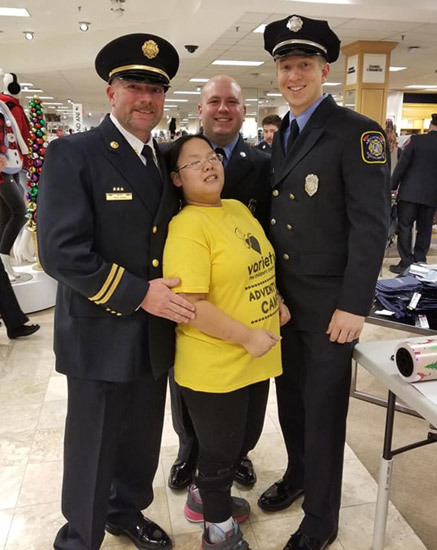 This morning, Firefighters Joe Alberts, Eric Balmes and Captain Chris Alber participated in the Dream Factory Christmas shopping event. 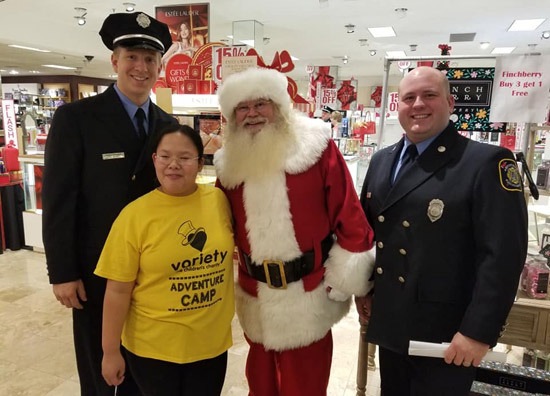 This event involves firefighters from all across the area taking special needs children shopping for their parents at Dillards at South County Center. This is always a fun and humbling event. This year, we escorted Lily. © 2019 Florissant Valley Fire Protection District | Wordpress Website Design and Hosting by Spencer Web Design, Inc.